South Dakota covers 77,121 square miles and has a population of 754,844 people. 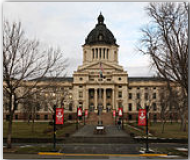 South Dakota’s capital is Pierre, which has a population of 13,876. Other important cities are Rapid City (pop. 59,607), Sioux Falls (pop. 123,975), Aberdeen (pop. 24,658) and Watertown (pop. 20,237). South Dakota was admitted to the Union on November 2, 1889 as the 40th state. It’s bordered by North Dakota to the north, Minnesota to the northeast, Iowa to the southeast, Nebraska to the south, Wyoming to the southwest and Montana to the northwest. The state flower is the “Pasque Flower” and it’s nickname is “Mount Rushmore State”. South Dakota’s economy is broken into two categories; agriculture and industry. Cattle, hogs, wheat, soybeans, milk and corn provide for the agricultural side. While food processing, machinery, lumber and wood products and tourism provide for the industrial side.